The Merkur 46C Travel Razor is both highly practical and very luxurious. The razor uses the same acclaimed shaving head as the worldwide top sellers the Merkur 34C and 33C. The handle on the 46C unscrews into two pieces when not in use to fit into the black leather carry case. Made in Germany, the quality is tip-top and built to last. The case shuts tight with a button fastener and it is embossed with the Merkur logo. Ensure the face is well lubricated using a pre shave treatment and a shaving soap, cream or gel. Stretch your skin as you shave ensuring the area you are shaving is pulled tight. 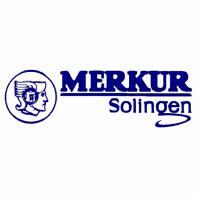 Included with the Merkur 46C Travel razor is a packet of Merkur Double Edge Razor Blades. Why not use this razor with Merkur Blades to complete the shave? Merkur Razors Blades are known for the comfortable, close shaves they give. Click here for more information.